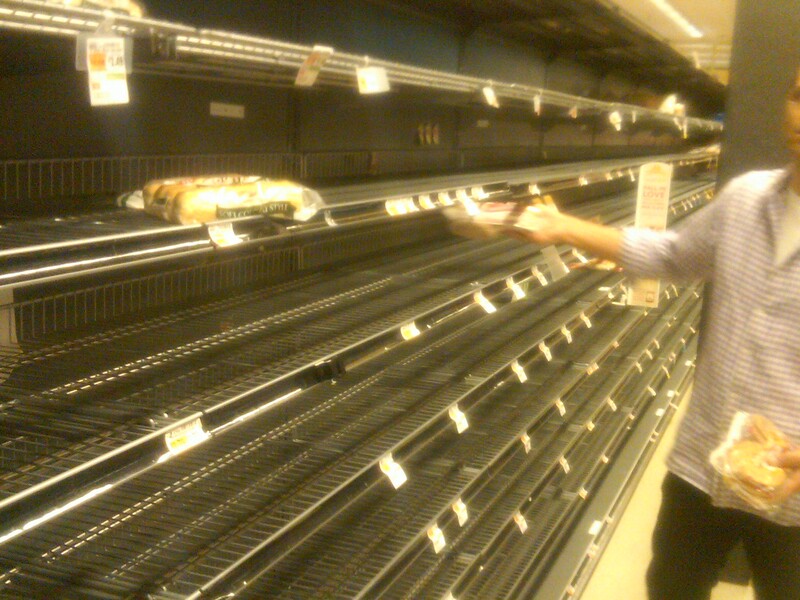 I went shopping before tropical storm Sandy passed through. It wasn’t a good day to pick up some bread. This was going to be the subject of a post about a month ago, but then the power went out. The storm is long gone, the power has been back on for weeks, so I should get back to work. This entry was posted in Life and tagged Tropical Storm Sandy by LWF. Bookmark the permalink.